It’s nearly Wednesday, and you know what that means: a fresh load of comics and graphic novels! With so many publications hitting your local comics store or digital storefront, the BF staff is here to lead you through the woods with our weekly staff picks. Satisfaction guaranteed. I’m not too sure about how many husband-wife creative teams work together on a regular basis creating comics, but Canadians Kathryn and Stuart Immonen are probably the most visible on that short list. Known primarily for their mainstream work for Marvel and DC, the Immonens turned heads in 2010 with their creator-owned graphic novel Moving Pictures from Top Shelf Productions. This week the Immonens return to the small-press world with a visually stunning, intensely emotional exploration of a couple facing the very real and totally unexpected possibility of never seeing one another again. 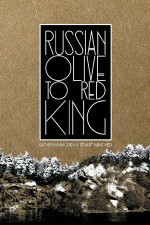 Unencumbered by the strict confines of capes-and-spandex set, Russian Olive to Red King showcases the couple’s mastery of the medium’s unique storytelling tools. There’s already been a fair amount of hype surrounding the book’s high-level craft and unflinching examination of intimacy and identity. Many fans and critics have already added it to their “Best of” lists this year, but a far more telling barometer of its success is just how long it will resonate with readers after they turn the final page. 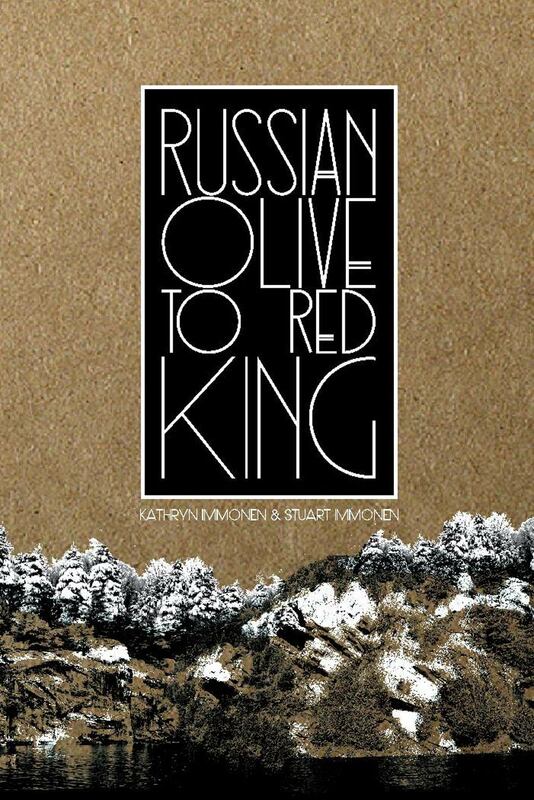 Kathryn Immonen (W), Stuart Immonen (A) • Adhouse Books, $24.95. One of the original icons of horror manga is back with an all-new English collection, and his talents haven’t diminished during his extended hiatus. Despite the title, the stories in Fragments of Horror form a master course in short fiction that stands on its own. Unlike the modern touchstones of Western horror comics, there’s no sense of safety when it comes to any of the unlucky characters who populate these brief tales. 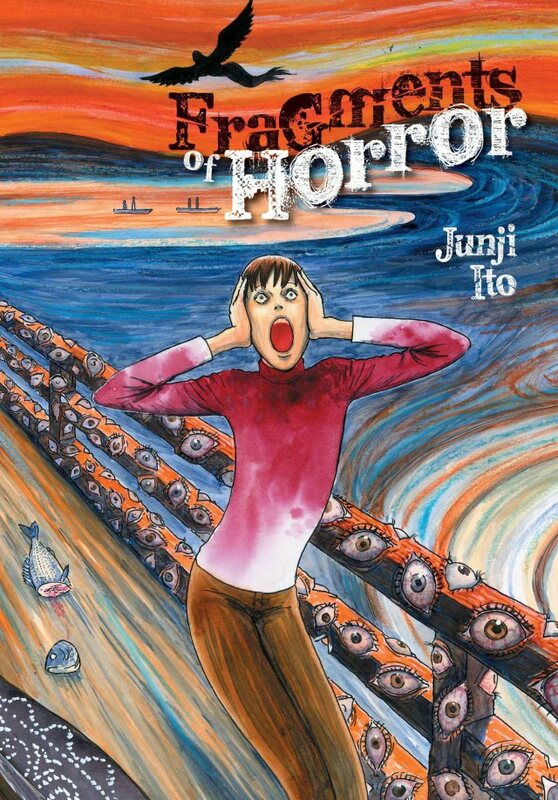 Fans of Ito’s previous work (Uzumaki, Gyo) will recognize his trademark Lovecraftian themes and unflinching spotlight on humanity’s most disturbing elements. However, this beautifully designed hardcover collection also showcases the extreme outliers of Ito’s range, featuring stories both comedic (‘Magami Nanakuse’) and touching (‘Gentle Goodbye’). When you’re putting out as many titles as Image Comics (Broken Frontier’s publisher of the year), it’s perhaps inevitable that one or two new series don’t get the profile their quality deserves amid the blizzard of look-at-me chatter from publicity-hungry creators. We flagged up They’re Not Like Us earlier in the year, and this week gives us the perfect opportunity to do the same for Rasputin, which is returning after a planned break with the release of the first trade paperback (collecting #1-5) and the publication of #6, which takes the tale of the almost legendary ‘mad monk’ in a new and unexpectedly contemporary direction. 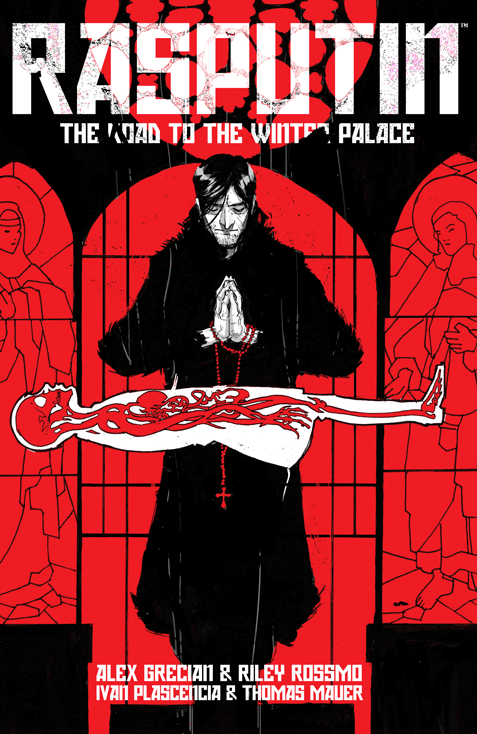 With spare but powerful scripts by Alex Grecian, richly textured artwork from Riley Rossmo and vivid, electric colouring by Ivan Plascencia, the story of the man known to Boney M fans the world over as “Russia’s Greatest Love Machine” has been given a stylish supernatural twist. And after a surprising cliffhanger at the end of #5, the story now takes a dramatic leap to the present day, with Rasputin himself somehow turning up in the US presidential race. How can he still be alive one hundred years later, and what has he been doing all this time? “Refreshing, sincere, and impossible to dislike, Katzine is one of the standout offerings I’ve covered in this column so far in 2015…” Those were my words when I reviewed the first issue of Katriona Chapman’s beautifully drawn autobiographical zine earlier this year in Broken Frontier’s ‘Small Pressganged’ column. A mix of comics and illustrated text pieces, Katzine is a warm and engaging invitation into Chapman’s life. Quirky vignettes sit side-by-side with longer-form slice-of-life pieces, all gorgeously rendered in her signature shaded style. 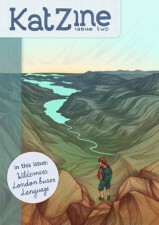 This second issue features reflections on Katriona’s love of nature, the trials of travelling by bus, plus more on her favourite local businesses and fears and loves. You can order copies online here. The teenagers of Gotham have adopted the “R” and made it their own. Rather than introduce a single Robin as a millionaire’s ward, or a tire thief, or a biological heir, this new ongoing series brings us hundreds of new Robins and their stories. It’s sure to provide a fresh perspective on life in Batman’s home town. Multi-talented writer Lee Bermejo (Joker, Suiciders) also handled the cover art for this issue. You may recognize Bermejo’s work from the Superman story in the limited series Wednesday Comics (2009). In 2011, he wrote and drew the Batman: Noel graphic novel, and he worked with Brian Azzarello on the Before Watchmen: Rorschach series in 2012-13. The interior art was provided by Jorge Corona (Feathers), Rob Haynes (The Flash, Batman: Gotham Knights, X-Force), and Khary Randolph (Batman Beyond Universe, Static Shock) – a team that is likely to take an innovative approach to panel presentation and shading. In a Gotham where Batman is now a buff, Mohawk-clad Jim Gordon wearing a Robotech mecha with a GCPD sticker, anything is possible, including a team of delinquents putting the “R” to good use. Ah… the British weekly comics Holiday Special. For those of us of a more vintage age it will bring back memories of hot summer days and a long-yearned-for era when newsagents were bursting at the seams with all the classic UK comics goodness on their shelves. 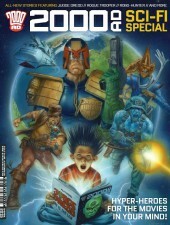 Last year Rebellion brought back that tradition with their first 2000 AD Sci-Fi Special in nearly two decades, and 2015 sees the bumper-sized offering back once more in what will hopefully continue to be an annual event. For old-school fans the main draw will be the return of Ace Garp and the rest of the crew of the space cargo ship Speedo Ghost in the first new Ace Trucking Co. story since the 1980s (courtesy of Eddie Robson and Nick Dyer). 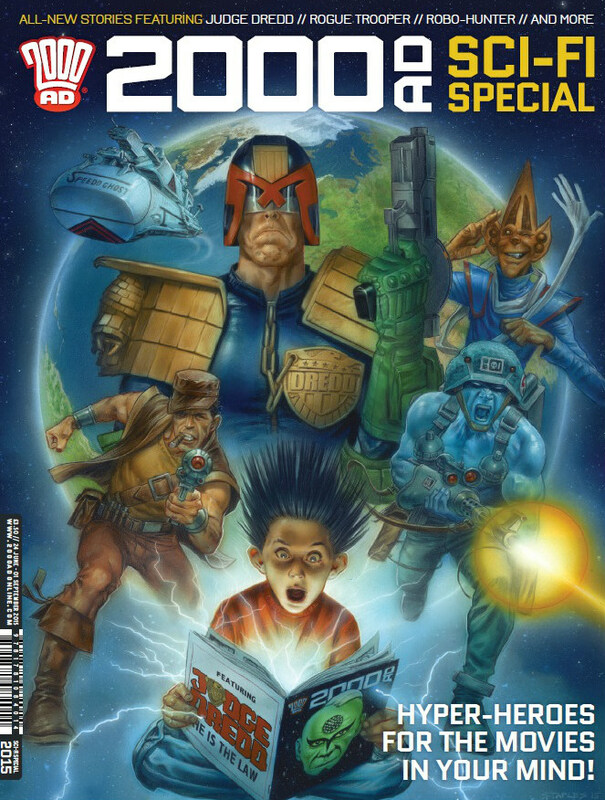 But there are plenty of other old faves as well, including Robo-Hunter and Rogue Trooper, in amongst the obligatory Judge Dredd and Future Shocks stories. If you’ve been away from the pages of the Galaxy’s Greatest Comic for a while, then this self-contained dose of thrill-power may be the perfect accessible re-entry point.